It’s probably a good thing I’ve been busy from sun up to sun down lately and just noticed this morning that it’s March 16th. 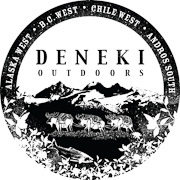 As in…Holy Bonefish…I leave for the Deneki FIBFest, Andros South, in exactly 9 days! I have never been saltwater fly fishing in my life. I haven’t packed a single thing yet. I did buy a plane ticket, so that’s got to score some points in the ‘prepared’ department. I do have my St. Croix Legend Elite Saltwater Rod poised and ready for action. This rod and I just met each other, but I feel it already…chemistry! I just signed up for the Bonefishing 101 Guide from the Deneki site in an effort to get a jump on the learning curve. To pad my reading curve, I’ve kept an eye out for a book of yellow gold, specifically… ‘Bonefishing for Dummies‘ …that I can take on the plane. Haven’t located a copy yet. I feel like the person who has played basketball in their driveway for the past 10 years and has been invited to join the Varsity Basketball team in the middle of the season. I know this is true, I’ve checked out the other fly fisherman of the FIBFest team and those guys know what they are doing! To add saltwater to the league factor…I did a little blog scoping mission and discovered a few of them are busy tying special flies for this trip. Michael and Bjorn <~~right there, in those links…Tying Flies. I don’t do that. My only hope is during the poker games I’ve read about from the last FIBFest, hand tied flies land in the center of the table in lieu of greenbacks and I’m holding a full house. I wonder just how much my fly fishing for trout and steelhead will translate on the water down there…. I’m going to be the saltwater rookie. The greenhorn. The newbie. The beginner who will probably floss a flustered guide through his nostril with an erratic cast. I am grateful for Youtube and it’s infinite source of Bonefishing entertainment and learning by osmosis. I am going to ignore and hide my head in the white sands of tropical paradise over the fact I’ve noticed that Bonefish look suspiciously like a Whitefish. And I’m totally and beyond excited to go. As in, I’m ready to go right now. Actually, make that in 33 minutes. I need time to pack and watch one more Bonefish Youtube video, then I’ll be ready to go. You are going to do fine. 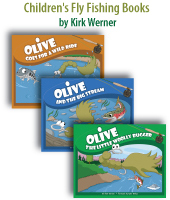 MOST of your trout/steelhead won’t translate… however, I think that is kind of the fun of it. Learning new things keeps us alive. Your ability to cast will be important, but you don’t need to cat 80 feet. You need to cast 40′ in the wind. That’s all. You are going to botch some casts and blow some shots… but so am I… lots of them, and that’s part of the game and the game is still more fun than is reasonable. I’m sure Gracie will let you use a few of his flies. Nah, don’t learn from me… I don’t know that much, I just am really love it. I feel like a baseball reporter who only played little league. Learn from the guides… they are the guys to pay attention to. Good luck and have a fun trip. Hopefully you’ll get a chance to post daily. It will be fun to read about your adventures. Thank you! The plan is to write as often as I can, posting pictures, etc… You all will get to read about my struggles and hopefully humorous first time fly fishing for Bonefish experience. If everyone was ready for a trip and nothing was forgotten than something would really be wrong. I sure hope you have a good time and look forward to hearing about the upcoming events. Don’t forget to take pictures. Can I go? Put me in your carry-on and stow me in the overhead bin. Can’t be much worse than last weekend. Maybe you can wrangle your way into some beginner’s luck and land a lunker/pig/monster/or whatever they call big bonefish on your first cast. Looking forward to the updates from somewhere much warmer than here. You just need to cast “40′ in the wind”…no problema for you, Rebecca!!! You will be fine…I have this feeling that you are a fast learner…watch out Bonefish! Kirk, sit down…it’s someone else’s turn to go. Rebecca have a wonderful time. Come back with some great stories. But, Rebecca, you have caught Rocky Mountain “Bonefish”. You hated those! You will love the new and improved Bonefish from salt water. Happy hook ups! 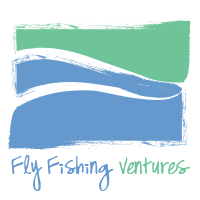 Bucket list trip… flyfishing for bonefish.. can’t wait to read your entries. I’m sure you will do fine! Just don’t forget your bikini tippets. I hear you need those for saltwater fishing or something. They put one in every braided leader I buy from Orvis and I always throw them out. They’re never my color. I think I said that right, didn’t I ? yeah. I did. Be sure to ask Bjorn to bring some of his homemade caramels along with a handful of his flies. I was fortunate enough to get this gift at our local club Christmas part a couple years ago. The dude can make candy too. I’ll have to content myself with golden bonefish here. Go get ‘em Rebecca! We’re pulling for you. I feel like I get to go- vicariously, which will have to suffice for now.